Basement Jaxx Photo: Tore Sætre / Wikimedia @toresetrephoto. Grammy-award winning electronic duo Basement Jaxx will headline a show at Dreamland’s Hall by the Sea. 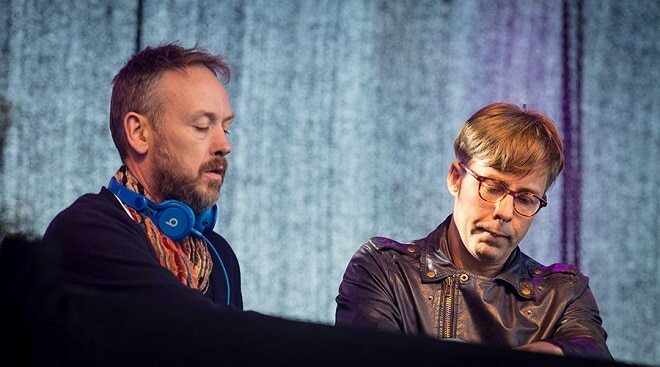 Basement Jaxx will play a DJ set at the amusement park’s large indoor venue on Saturday, December 15. The electronic duo have album sales of more than three million under their belt, including their l debut album ‘Remedy’ and 2005’s double platinum UK number one, ‘The Singles’. Basement Jaxx are double BRIT award winners (Best Dance Act) and received a Grammy for their third album ‘Kish Kash’. They have appeared at The Hollywood Bowl, rocked 30,000 people at Hyde Park and headlined at Glastonbury Festival. Tickets go on general sale on Friday (September 7) via dreamland.co.uk and start from £25 plus booking fee. There will be a 48-hour presale for Dreamland members. Support for the show will be announced soon. Tom Ranger, music programmer at Dreamland, said: “Basement Jaxx at Dreamland is going to be a phenomenal show. We’re really looking forward to having another world-class act in our Hall by The Sea.